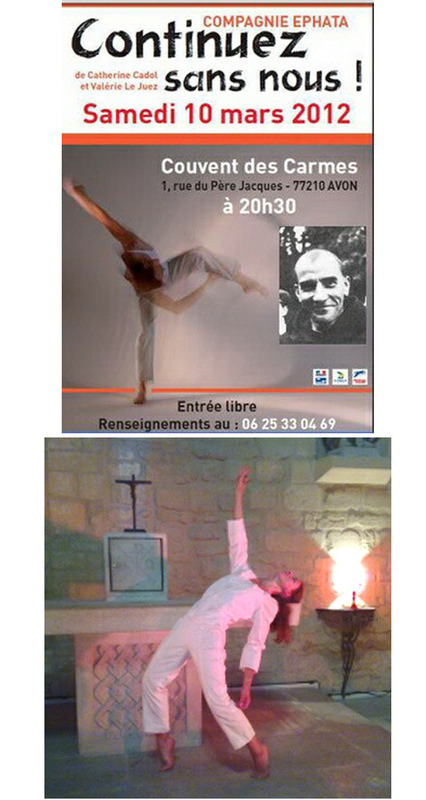 In this posting you can observe some immodest dance steps performed in the Chapel of the Monastery, even directly before the altar.The theme of this desecration was the prison life of Lucien Brunel, a.k.a. Fr. Jacques of Jesus, featured in the inset on the poster below. He was an active member of the resistance movement to the Nazi occupation of France, which brought Communists, Jews and Catholics together in a work of close collaboration. Fr. Jacques was imprisoned in the Carmelite Monastery of Avon and deported to a concentration camp in Linz, Austria. He died shortly after the end of WWII as a consequence of the tuberculosis he contracted there. The play presents the parallel lives of Lucien Bunel and Elise Rivet, who was also a religious - Mother Marie Elizabeth - of the Sisters of Our Lady of Compassion in Lyon. She was also a bold member of the Resistance who stored weapons in her Convent. She also was imprisoned and died in a concentration camp. 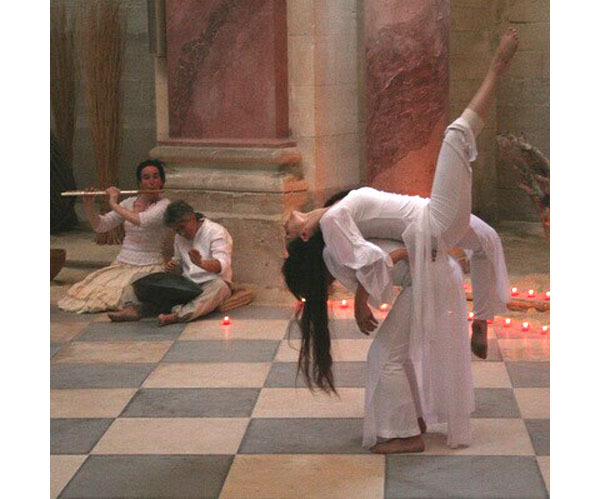 The performance, quite liberal in its indecent postures, can be viewed here. It received a award from the Israeli government. Independent of the theme of the piece, our focus here is on the supreme impropriety and blasphemy of performing it in a Chapel of a Carmelite Monastery.